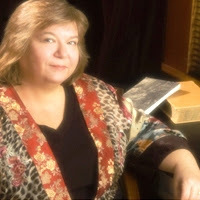 Varietats: The Skeleton Makes A Friend by Leigh Perry - Blog Tour + Giveaway! The Skeleton Makes A Friend by Leigh Perry - Blog Tour + Giveaway! Can you imagine having a skeleton as a friend? Don't be surprised, Sid is Georgia Thackery best friend, the only curios thing is that Sid is a skeleton, who talks and moves like a human, without the skin...! So when Sid and Georgia discover a body at the college Georgia is working part time, and Georgia discovers that Sid knew him, they couldn't resist to investigate the murder, discovering some deep secrets at the college they are working! 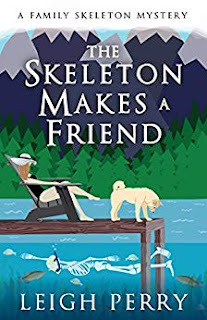 This had been an interesting read, let me say I am not used to read books where one of the main characters is a skeleton that talks and moves, but lucky for Georgia, even if sometimes he is the one that puts her in danger, he is ready to save her in the moments of need. This book talks about gaming platforms and the connection between the gamers, because these people play together and even if is not planned they know each other and start a friendship, without knowing each other names, they share a connection. This connection will be the start of this case, when they start investigating the victim, they discover it was part of Sid's gang online, this will make them more motivated to discover the truth about the murder, but the killer's motive is quite twisted and the killer is ready to kill again to cover the truth! This is the fifth book of Family Skeleton Mystery series, in the beginning is a little bit weird the skeleton situation, but after a few pages you get it and the story gets more interesting! Ready for a curious case? Takes a Bow, The Skeleton Haunts a House, and The Skeleton Paints a Picture.